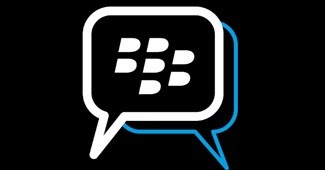 The Famous Messaging Application BlackBerry Messenger ( BBM) can now be used on iPhone and Android operating systems. BBM for Android and iPhone was scheduled to launch on September 21 and 22 , but an important file was leaked so it was cancelled . Blackberry on Tuesday wrote on his official blog , that process of launch of the BBM application is going to start again . This blog post by Blackberry also claimed that about 60 million people reached on BBM.com to gain information about BBM. Blackberry wrote on his blog , " you know that nearly 10 million BBM users of Android are using unrelased version. But you may not know that over 10 million people are using unreleased version of BBM on their iPhone," . It 's amazing . " What you can do with BBM? 1. Android, Blackberry and iPhone users can chat over with friends . It is always on and connected. 2. Readed message, and the delivered messages can be seen in R's and D's category individually. 3. You can share Photos, videos, documents and audio. 4. 'Emoticons' through which you can express every emotion. 5. Privacy is also protected its upon you that how you will share your information. To protect your identity instead of the phone number or email it makes use of PIN numbers. 6. You can also group chat. BBM contact list, you can connect with other groups. 7. Photos and animated pictures (GIF image) you can decorate your profiles. You can downoad BBM app directly from BBM.com or you can visit and download from below mentioned link.